Ryan now has his sweet little girl, Javonna. Javonna will enjoy lots of quiet time and walks around the area. She may even get to visit a cat once in awhile. 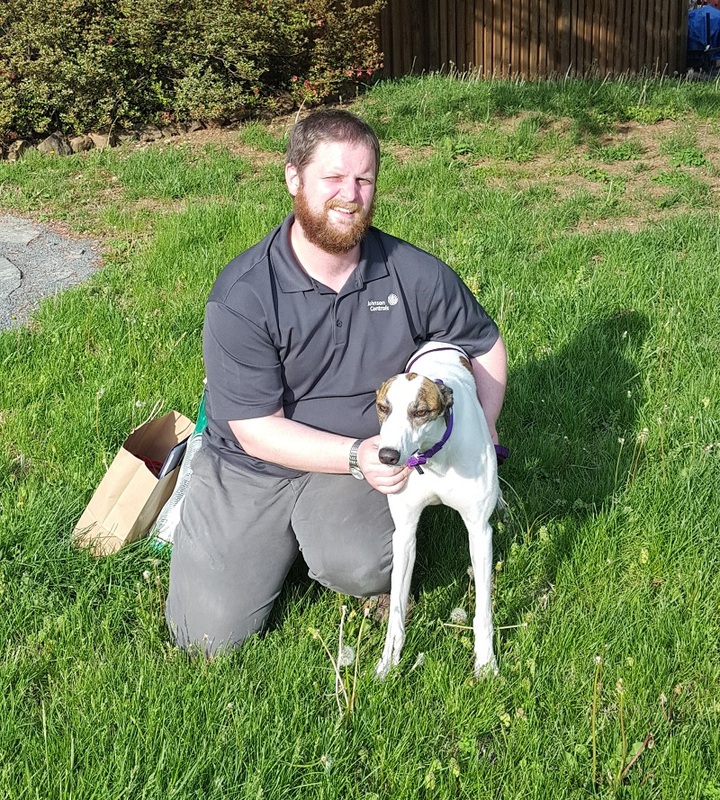 Ryan has been waiting a long time to find his perfect Grey and now she is in her forever home! Congratulations to Ryan and Javonna! 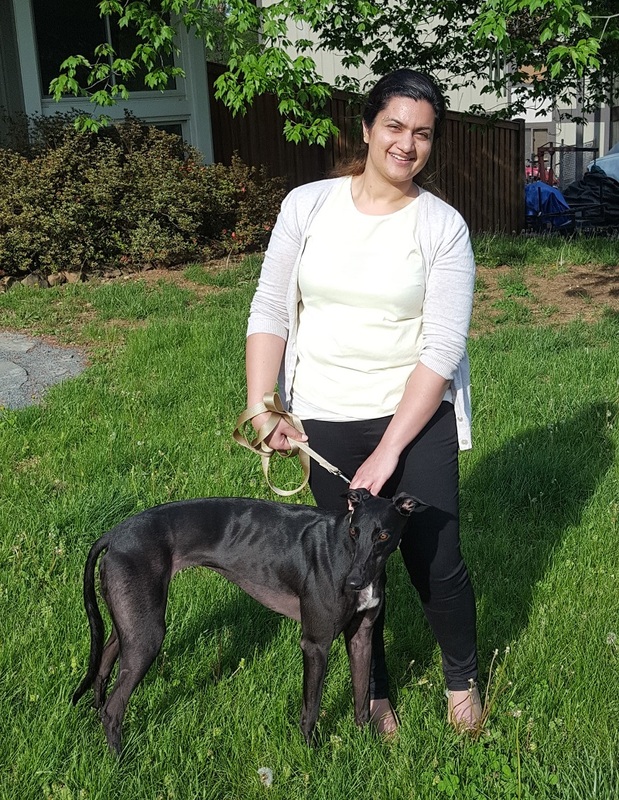 Sonia has adopted a very sweet, "puppy-like" girl, called Dash. Dash loves to run and play! Sonia will be taking her to training class soon and spoiling her with new toys and treats.